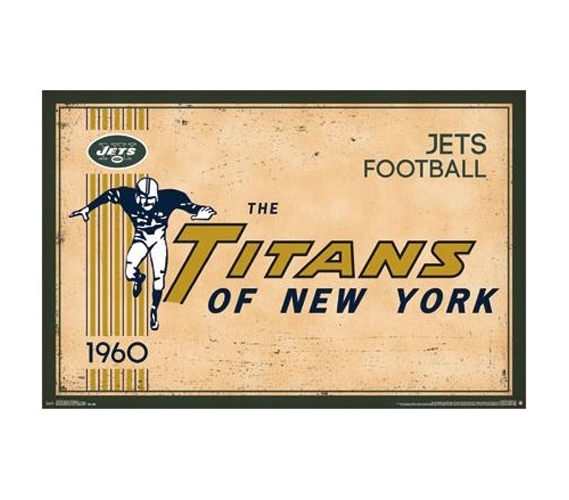 OK so maybe you won't around to experience the team depicted on this poster for college, but if you're a sports fan, include this New York Jets (Titans) Throwback 1960 Logo Poster. It's a fun item for college that is a cool dorm supply and will be just what's needed to decorate your dorm. Sports posters for college are dorm room essentials when you're decorating your dorm stuff, so consider including a few of this useful college decoration. 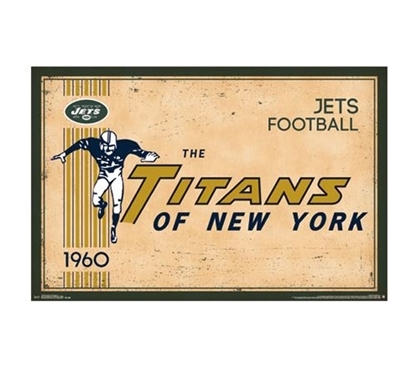 Even if you're a diehard fan, you might not want to go so far as to have twin XL sheets for college with the Jets' logo or any other Jets college bedding. But if that's taking it too far, a poster for college surely is not. You can show your support for a favorite team and also show your appreciation for the team's history with this dorm room poster!